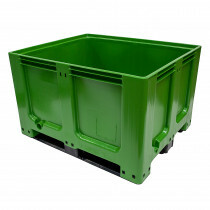 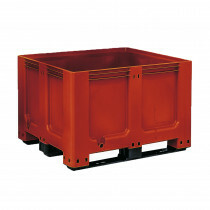 A 400 litre Plastic Pallet Box on four feet. 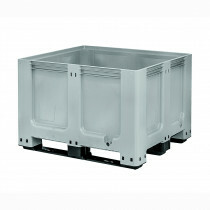 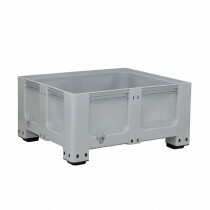 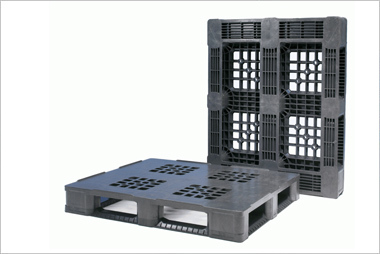 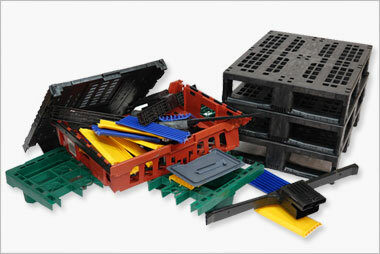 A 400 litre Plastic Pallet Box on four castors. 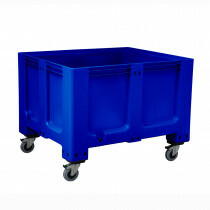 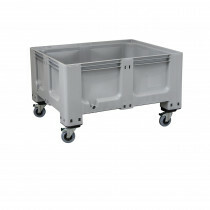 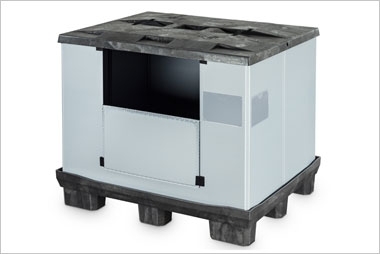 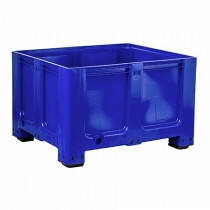 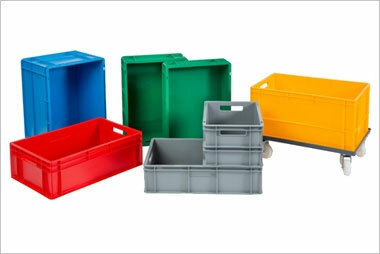 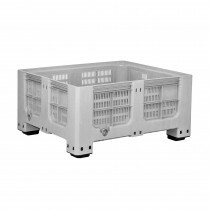 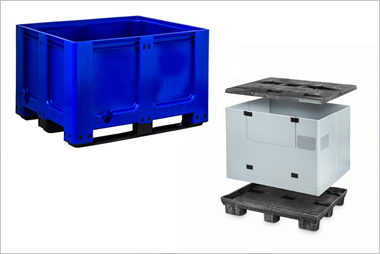 A 610 litre Pallet Plastic Box on four castors.